Have you ever noticed that your teeth feel a little…well, fuzzy at the end of the day? What you’re feeling isn’t fuzz, of course, but plaque. You may have heard your dentist talk about plaque before, but do you know what it is? Plaque is a sticky biofilm made up of hundreds and hundreds of naturally-occurring bacteria. These bacteria feed on the food we put in our mouths, and they especially love foods high in sugar or other carbohydrates. As these bacteria feed on these particles, they create an acidic byproduct that damages tooth enamel, resulting in cavities. So, given how destructive plaque, bacteria, and this acidic byproduct can be, you may be wondering what you can do to keep it in check. Below are eight tips for managing and getting rid of plaque. Brush at least twice a day, but if possible, after every meal. Floss at least once a day. Flossing will help you remove pieces of food or particle of plaque from beyond teeth, where they can contribute to decay. Consider adding an antibacterial mouthwash to your at-home oral health regimen. Reducing the amount of bacteria from your mouth will reduce your vulnerability to decay. 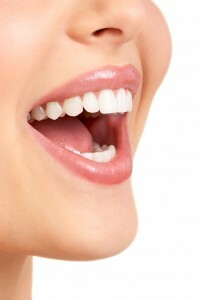 A fluoride mouthwash can also help you strength your tooth enamel. Chew sugarless gum after and in between meals. Gum helps remove particles of food from between teeth and stimulates the production of saliva, which neutralizes acid. Reduce the amount of sweet or starchy foods you consume. Even a natural snack like raisins can be problematic. Avoid smoking or any kind of tobacco use. Besides being bad for your health, smokers routinely have higher amounts of hardened plaque. Make regular checkups and cleanings with your local dentist a priority. A cleaning by a professional hygienist will help you get rid of plaque in places that are hard to reach with normal brushing and flossing. Dental sealants protect the chewing surfaces of teeth from bacteria and plaque with a thin layer of plastic. This effective option works especially well for back teeth and may help children who are more vulnerable to decay.